Have a girl in your life who’s starting kindergarten this fall? Set her up for success before she even walks into the classroom! Girl Scouts can help you (and her) navigate this new chapter with expert tips and activities. Visit girlscouts.org/daisy for more info on raising awesome girls. It’s never too early to unleash her inner leader! 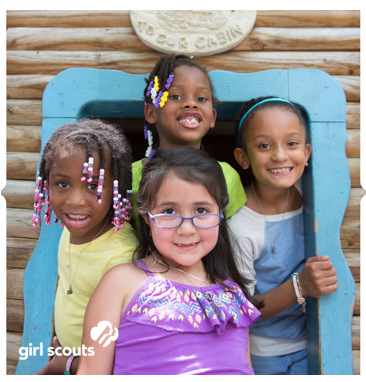 Joining Girl Scouts is a great way for her to build confidence, try new things, and discover her inner G.I.R.L. (Go-getter, Innovator, Risk-Taker, Leader)™. Learn more and sign up today at girlscouts.org/join! Bye Bye Winter and Hello Spring! Your voice counts! Girl Scout Voices Count survey coming in April.